Home > Stop the attack > Help! My acute treatment does not work. Why? No treatment is 100% effective. It happens that attacks are very strong and do not respond to usual treatments. What can you do? Adjusting the acute treatment is not always an easy task. The cause of the failure has to be identified. This table presents frequent causes of acute treatment failure. You do not have a treatment adjusted to your attacks If you have intense migraines, you may need prescription medicines (triptans or other). You may have to use a combination of medicines. You take your treatment too late WHY do you wait before taking your treatment? Are you scared of side effects? Try the treatment and if you get bothersome side effects, discuss it with your doctor. Is the cost too high? You have to evaluate whether the price to pay is worth the time lost in bed. You have started to use less potent treatments? If this strategy does not work out, you have to change it and use an effective treatment right at the onset of the attack. The attack is already established when you wake up or during the night, and pain is already too intense Suppository, nasal spray and injectable forms of medicine act faster than pills. The treatment works, but pain reoccurs. If you are a woman and this happens during your period, you have to discuss it with your doctor. It is a frequent problem, which can be controlled. A combination (anti-inflammatory drug + triptan) can help reduce recurrence. You vomited your medicine Maybe you treated your attack too late? If nausea appears fast, anti-nausea drugs have to be used, preferably in suppository form. 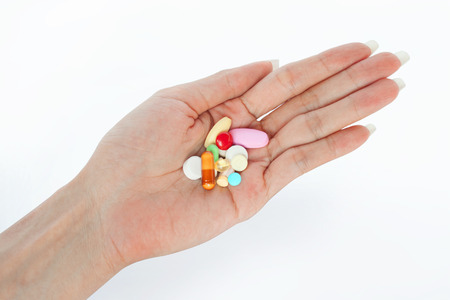 If you take anti-inflammatory drugs or triptans, use suppository, spray or injectable forms.